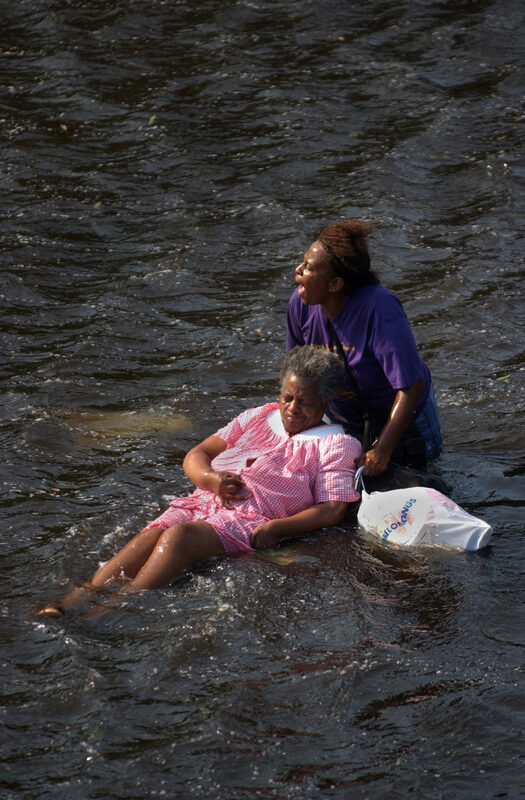 After being rescued by boat from the Lower Ninth Ward and spending the night on the interstate, Sadie James pushes her invalid mother, Irma, in a wheelchair through the flood water to the Superdome on September 2, 2005. Sadie James, pictured here in 2006, was once a resident of New Orleans, and lived for several years in Alcoa Tennessee, at the foothills of the smoky mountains. 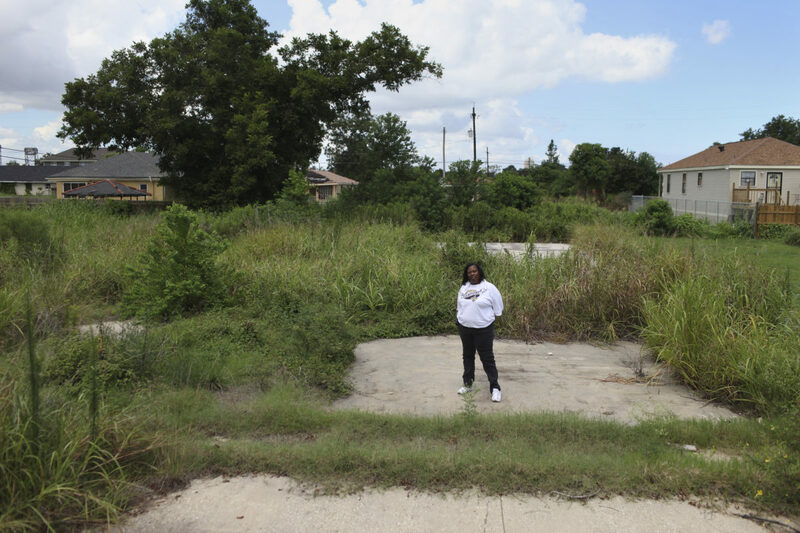 Sadie James stands in the lot where her rented house stood before the levees broke after Hurricane Katrina. 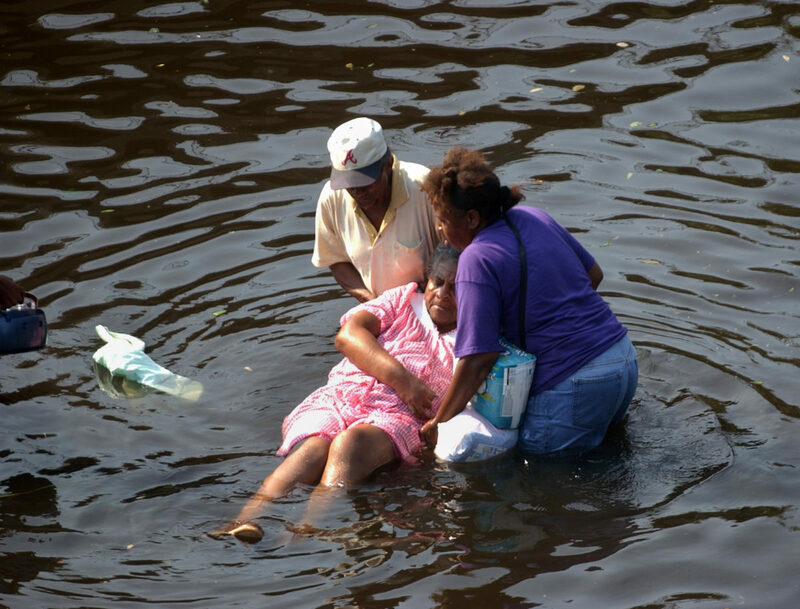 Before Katrina, she was a home health care aide for an elderly woman in New Orleans. 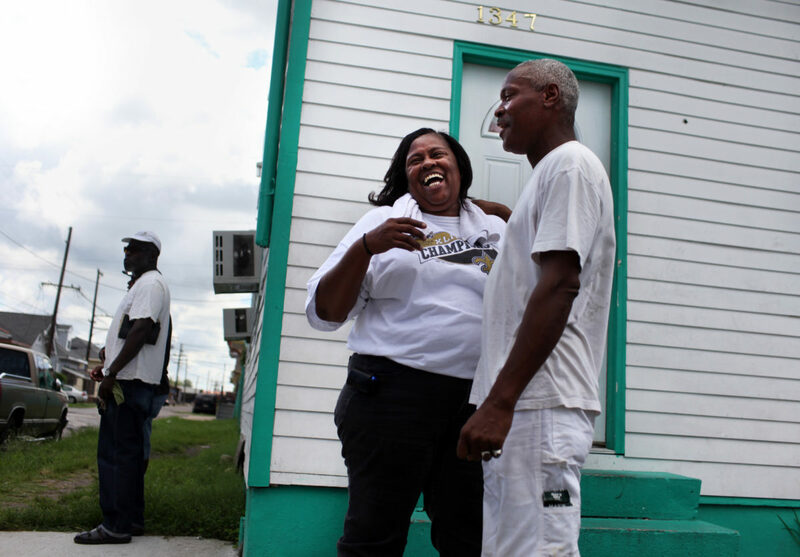 As the storm approached, she left her rented house in the lower Ninth Ward to stay with her mother, Irma, who was 74 and used a wheelchair. 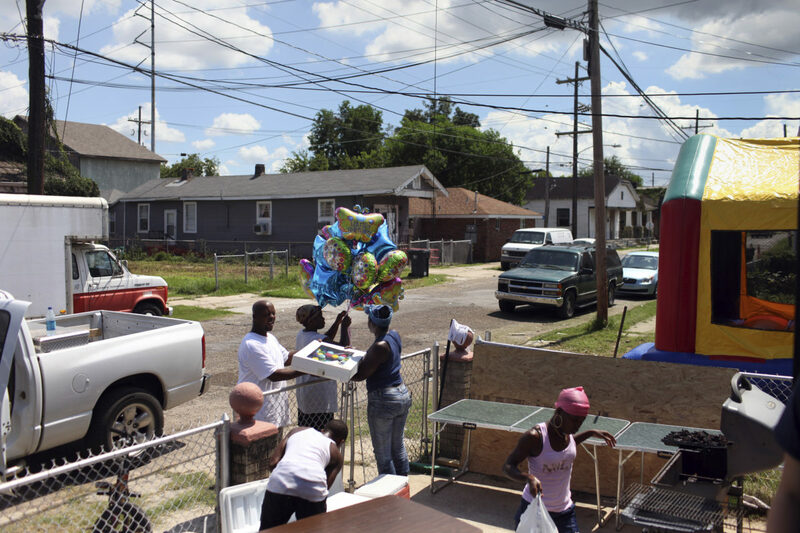 The family of Sadie James gathers for a birthday party for one of their children in 2010. 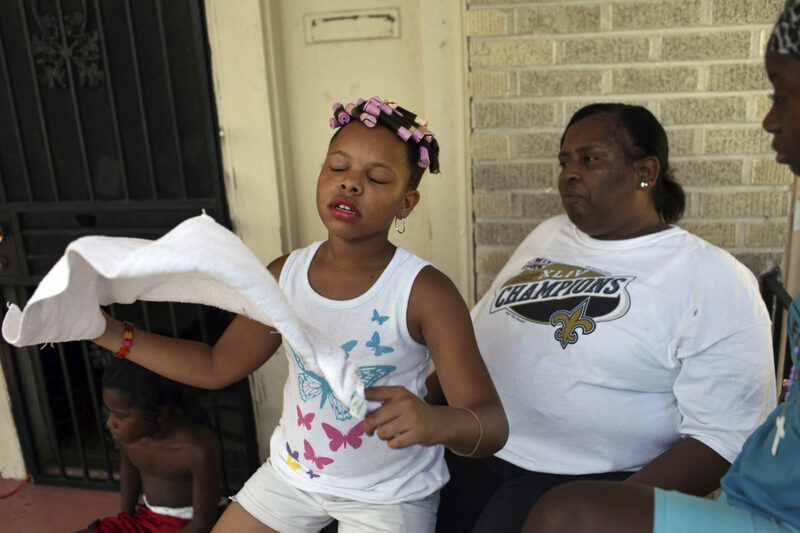 Sadie sits on the porch with her niece during her birthday party in New Orleans in 2010. 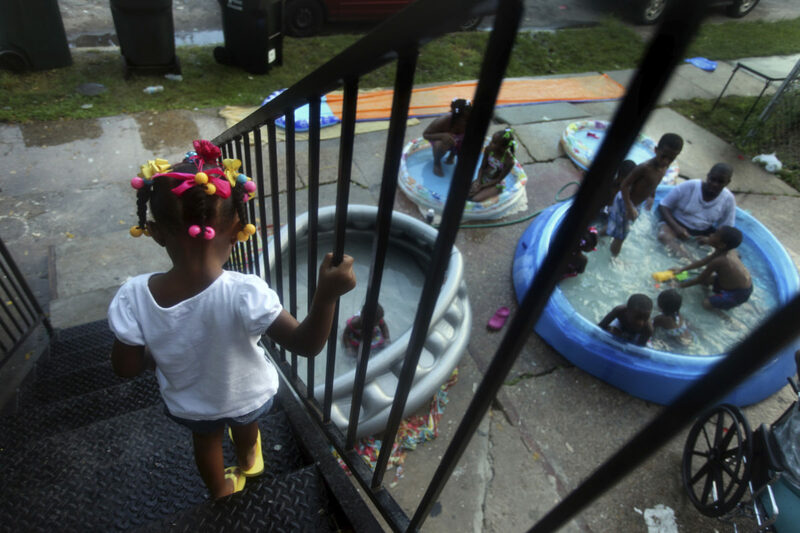 Family and friends of Sadie James play in kid pools during a birthday party in New Orleans in 2010. 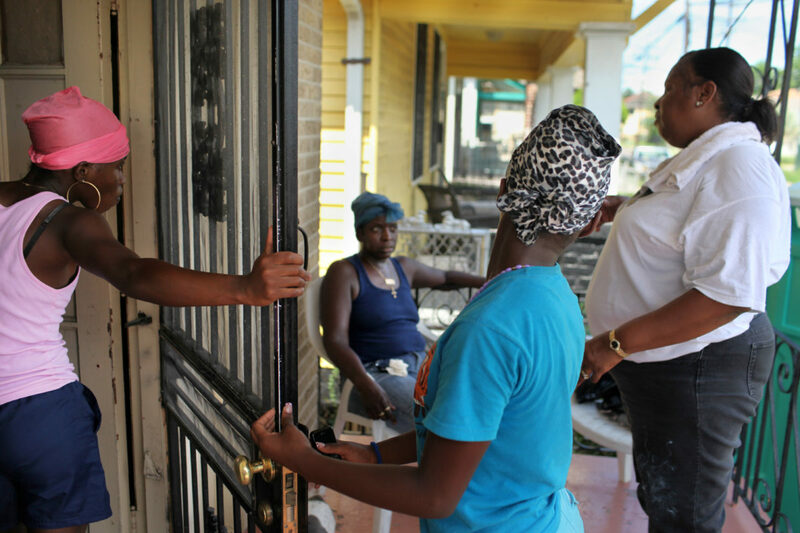 Family gathers on a porch during a birthday party for Saide's niece. Sadie wipes her brow as she leaves the birthday party. Sadie James jokes around with her cousin Bernard Lee in New Orleans on August 21, 2010. The two lived in the back of a house from the time she was 5 to 9 years old along with about 20 of their cousins, aunts and grandparents. Sadie was evacuated to Alcoa Tennessee after Katrina. 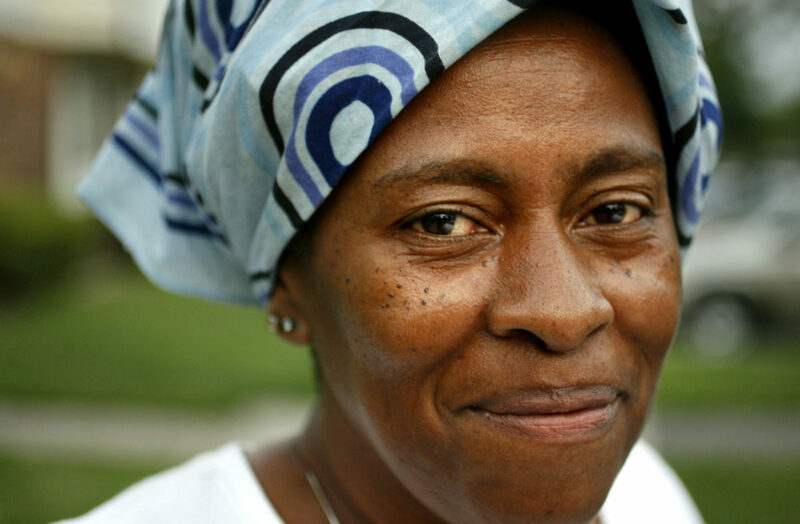 She returned to Louisiana several years ago to care for an ailing sister. Now she lives in Lafayette with her daughter and grandchildren and travels by Greyhound to New Orleans once a month to see her mother, boyfriend and the rest of her family. Sadie James took care of people. After a year in Tennessee, she caught a Greyhound to Donaldsonville, La., to care for her ailing sister. 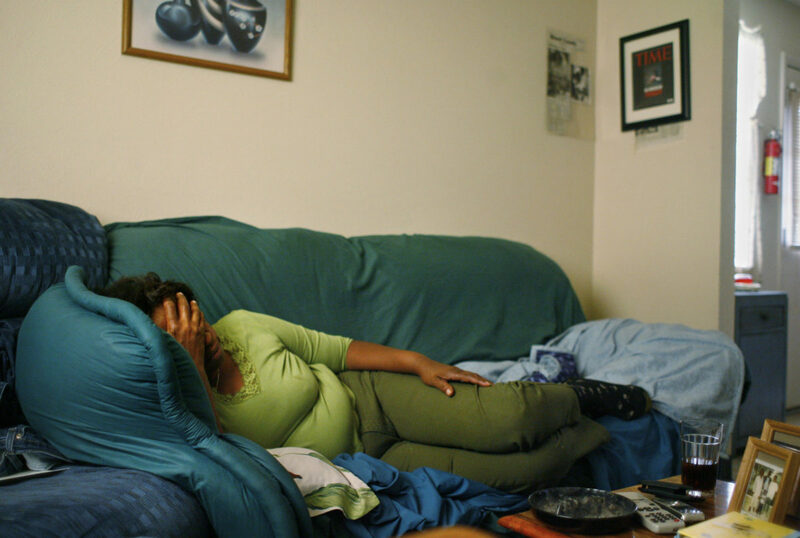 Eventually, she moved to Lafayette to live with one of her daughters. Her other daughter lives in Texas now. “They decided they didn’t want to come back,” she said. 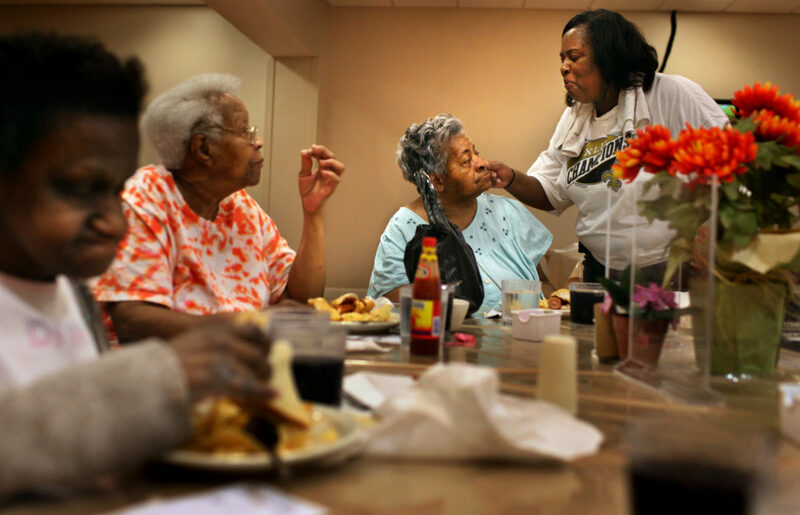 “Katrina really scared my girls.” About once a month, Sadie would visits her mother in a nursing home in New Orleans, but avoids at all costs her old neighborhood. 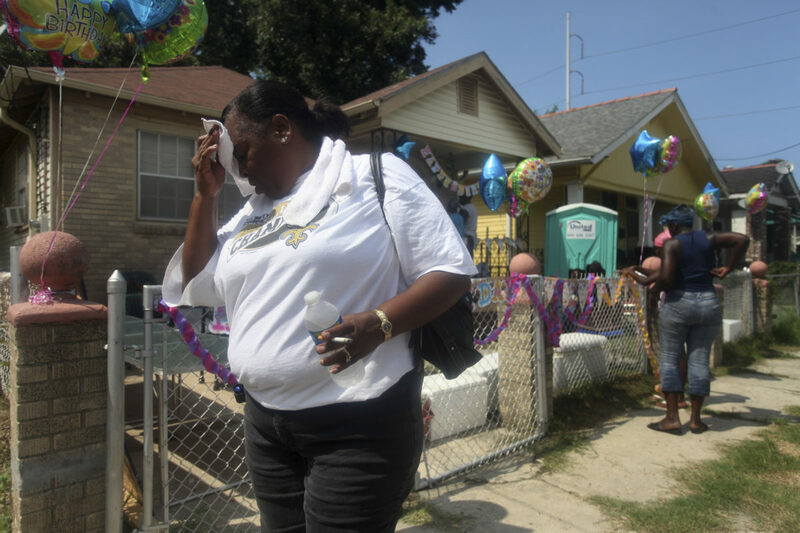 After the water receded, she heard a body was found in her house. 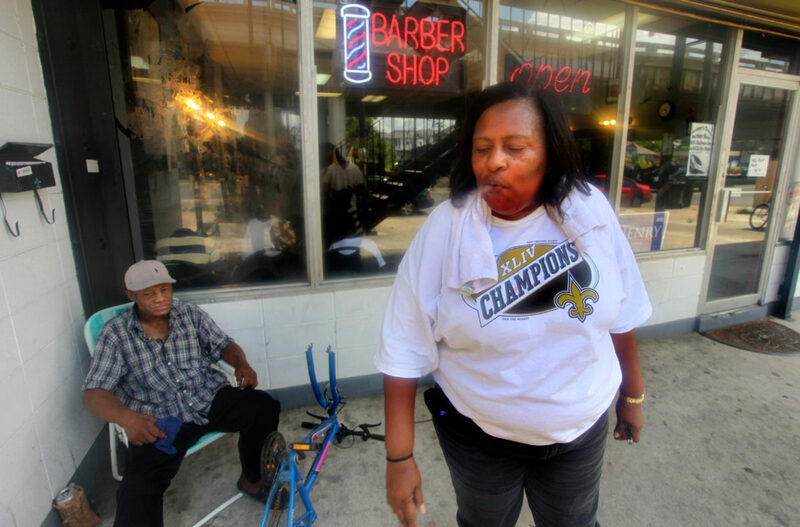 “I don’t like it over here no more; I like where I’m at in Lafayette.” Sadie died in 2014 after a battle with cancer. Hurricane Katrina made landfall in Mississippi on August 29, 2005. Levee breaches in New Orleans led to massive flooding, and government response was slow. Hundreds of thousands of people in Louisiana, Mississippi and Alabama were displaced from their homes, and there were 1,836 fatalities, primarily from Louisiana (1,577) and Mississippi (238). It was the costliest natural disaster and one of the five deadliest hurricanes in the history of the United States. Levee failure in New Orleans lead to the majority of the death and destruction. Eighty percent of the city and large swaths of nearby parishes were flooded.